Helping Stepfamilies Apply Scriptural Principles In Their Family Life! Stepfamilies can take advantage of the many family-friendly activities they can participate in together during the Easter break. The kids will be out of school and the parents may have a few days off. This makes the Easter holiday the perfect opportunity to enjoy time off with friends and family. My husband and I try to do something different, fun and inexpensive with her at each school break. She works hard in school and deserves a reward. Depending on the age of your stepchild, the rewards and activities may differ. For the younger stepchildren, I know now is the time where stepparents plan activities involving cute bunnies and Easter eggs. Many of these activities include egg hunts, egg painting, eating eggs made of chocolate and so on. The adults look forward to eating fried fish and hot cross buns. Let’s discuss different, non-egg related activities that you and your family can plan and enjoy together. Let me start by saying that I am a huge Jennifer Maker fan. If you’re not familiar with who she is, she has a website called Jennifer Maker and on her website, she makes the cutest and easiest crafts. 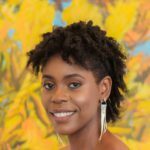 Not only is she really creative, but she has this incredible talent of breaking down each project step by step so that you can follow her and make your own amazing crafts at home. Am I a paid advertiser for Jennifer Maker? Nope. But I love watching her make fun items, even if I never make them myself. The Easter holiday would be a terrific time to choose something to construct with your stepchild and make it at home with items found around the house or cheap items from a nearby crafts store. You don’t have to make anything resembling a furry bunny. Jennifer has a Youtube channel that shows you how to make art pieces; paper flowers, etching glass, making glitter tumblers and more! Below is a short video on how you and your stepchildren can make Pop Up Butterfly Cards. Crafts projects are a nice choice if you want to do something at home or in your yard and it is something tangible that will last a long time. If you and your family want to go on an outing during the Easter break, spring carnivals and other outdoor festivals are great picks. These are relatively inexpensive and if you attend an outdoor concert, you will save more by bringing your own food. If you have younger stepchildren, you can make going to the carnival a family affair. If you have teenagers, you and your spouse can consider allowing them to bring a classmate or friend along with you. Check out your local newspaper for spring events taking place near you. Or, if you’re feeling a little adventurous, you can plan a road trip and attend an event further away from your hometown. My older sister and I loved to plan tea parties growing up. We would take out my mom’s best china from her china closet and either have real tea and cookies or played pretend. Back then and even now that I’m older, I’m not the biggest tea drinker. However, I think it was the way having a “grown-up” and “sophisticated” party made me feel at such a young age. If my stepdaughter was younger, I would have loved to share this experience with her. Who knows, she’s 17 years old now, but may still enjoy the opportunity to throw a tea party with her friends or just us as a family. You can make throwing a tea party a fun bonding experience with your stepchild, particularly if you are a new stepparent. You can bake cookies together, choose the type of tea and finger foods you want at your party and who to invite. If you want to go all out, you can choose a theme and make invitations and decorations together. The most famous tea party would probably be the one from Alice in Wonderland. Laura Maclean gives some tips and ideas for planning the perfect Alice in Wonderland themed tea parties. Discuss with your family and start planning in advance so that you would have everything ready to go for the Easter holiday. When was the last time you visited your local aquarium, garden or zoo? Sometimes we drive pass these venues regularly without even realizing it. These spots can be an excellent spot to check out during a school break. You can take advantage of any of these locations by combining an entertaining trip with learning educational facts about the plants and wildlife. We have a garden where I live called Ardastra Gardens that combines beautiful trees and flowers with an animal petting area. You can visit the flamingo area, pet snakes and take photos with the other tropical birds. 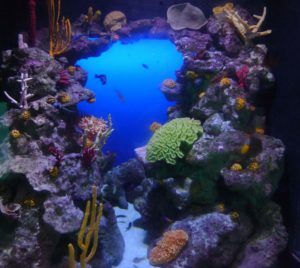 We also have an amazing aquarium at Atlantis, Paradise Island with a ton of different fish, sharks, dolphin encounters, beach activities, water park and great restaurants to end the day. 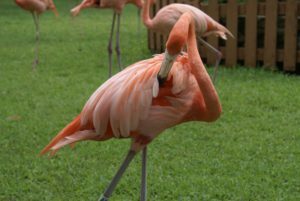 We do not have any major zoo’s in The Bahamas, but I’ve visited one in Florida and was amazed astounded by the different animals that we do not have in my country. I truly believe that every town, state and country have their own unique areas that they can explore. Pretend to be a tourist for a day and take in the culture your area offers this Easter holiday. Make Your Easter Holiday Count! No matter which activity you decide to participate in as a family, remember to focus on spending quality time with them. Why not suggest making your Easter activity a “no technology” event? Leave all cell phones and distractions at home. Carry an old fashioned non-cellphone camera to take photos with the dolphins, parrots, garden, concert, tea party or homemade crafts. 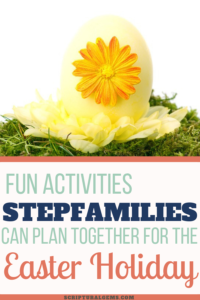 If you want more wholesome activities you can plan and do together, take a look at my post Fun Activities Stepfamilies Can Enjoy During the Spring Break and share which Easter activities you do as a family in the comments below. To my own opinion, doing things that you are already experience on is not fun. Having time for oneself and family is very important, mostly in easter times. One of the things to make your easter fun is knowing events happening new you and also, beach too is a great place to have fun too. My advice to anyone going out in this easter holiday that is coming is that, wherever you go or have fun take a good camera along and snap the moment you are enjoying. Hi Chris, yes there are many wholesome activities that we can do together as a family. Easter is a great time to plan to do something to draw closer to Jesus and our family members. We can take advantage of this time to learn more about what Jesus sacrifice means for us today. I’m also a stepparent, but my stepdaughter is already 26 in a few days, but still lives with us. She is working part time and also a full time student. I have a son who is 13, and in middle school. We usually have a big extended family Easter celebration with our younger nephews and nieces whom we prepare chocolates so that is one event that we usually prepare for. Now that my son and stepdaughter are older, we just attend the Easter lunch with our extended family after attending the mass. It’s a potluck party, so if my stepdaughter is not working, I let her prepare something that we bring to the party. At home, we may just chill by watching a movie together. Hi Marita! It’s great to share info with other stepparents. My stepson is 25 and lives in a completely different country which can be nerve wracking at times. My stepdaughter is 17 and about to graduate from high school which brings it’s unique set of challenges and planning. Getting together at Easter is a great idea! Thank you for sharing your post it is so good, great ideas and teaches the children to make things and to have fun that doesn’t cost so much, fun days with excitement for everyone. I can remember the easter bunny race at school and the easter mornings when we work in the morning on easter day having a boiled egg with a funny face on it this was fun. Hi Tracey, yes I have so many fond memories growing up with my parents trying to find ways to entertain me and my sister. It is great to have wholesome activities that the entire family can do together. wow, awesome list of activities which are sure not only to make your Easter break fun period but also a very productive period. My best combination, fun and productive, thanks for this list. Hi Etah! You’re welcome. I’m so glad you can benefit from my list 🙂 I also have so many wonderful memories of my breaks from school and I’m always looking for fun and creative activities for my stepdaughter. 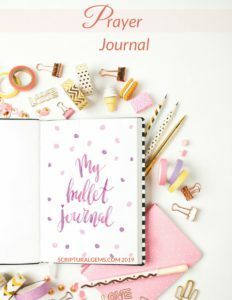 Signup here for your free worksheet on setting spiritual goals! Welcome to Scriptural Gems! 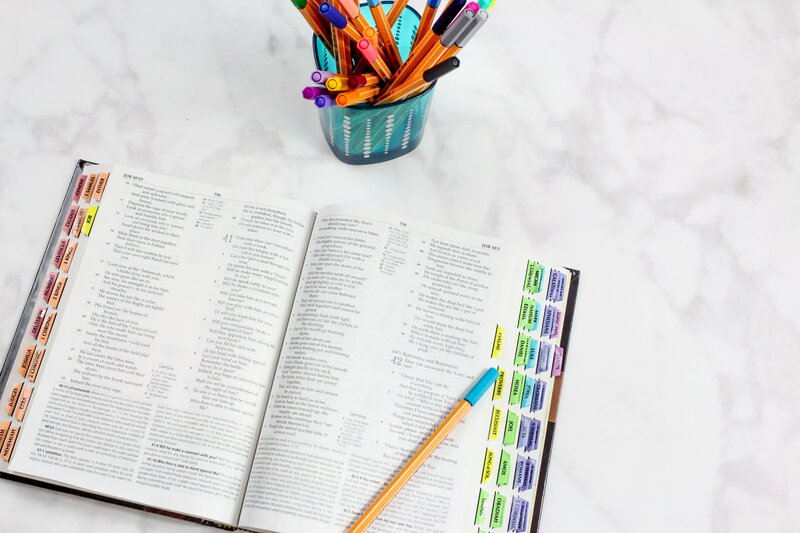 I started this blog to help people benefit from the practical advice that the bible gives. The spiritual gems found in the bible can help anyone overcome life’s daily challenges and live a simple and happy life! Which Bible Gems Are You Digging For?